The longtime community activist will receive the Manzanar Committee’s 2019 Sue Kunitomi Embrey Legacy Award. 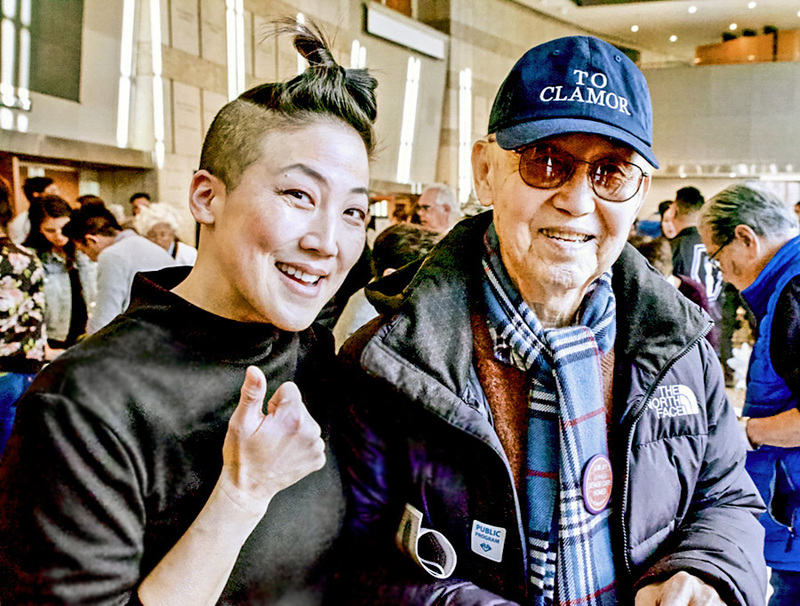 LOS ANGELES — Longtime community and redress activist Jim Matsuoka has been named as the recipient of the 2019 Sue Kunitomi Embrey Legacy Award, the Manzanar Committee announced on March 21. The award, named after the late chair of the Manzanar Committee who was one of the founders of the annual Manzanar Pilgrimage and the driving force behind the creation of the Manzanar National Historic Site, will be presented at the 50th Annual Manzanar Pilgrimage on April 27 at the Manzanar National Historic Site, located on U.S. Highway 395 in California’s Owens Valley. Each year, more than 1,000 people from diverse backgrounds, including students, teachers, community members, clergy and former incarcerees, attend the pilgrimage, which commemorates the unjust incarceration of more than 120,000 Americans of Japanese ancestry in 10 American concentration camps and other confinement sites that were located in the most desolate, isolated regions of the U.S. during World War II. Manzanar was the first of the American concentration camps to be established. Upon graduating from high school, Matsuoka was drafted and served in the U.S. Army. After completing his military service, he enrolled at Los Angeles City College. He later transferred to California State University, Long Beach, where he received bachelor’s and master’s degrees in social sciences. During his time in college, Matsuoka also worked in the aerospace industry and served 10 years as a union representative. Matsuoka was among the leaders of a group of activists who participated in the first organized Manzanar Pilgrimage on a very cold Dec. 27, 1969. “Jim spoke at the first Manzanar Pilgrimage, even though he recalls that it was the only way he would’ve gone back in the dead of winter,” said Manzanar Committee Co-Chair Bruce Embrey. “Jim was one of the handful of survivors of camp who made it that year. My mother, Sue Kunitomi Embrey, Karl and Elaine Yoneda, Amy Ishii and a few others flanked Jim as he clearly laid out how camp traumatized our community. He was bold, honest and he cut to the bone. But his words were exactly what needed to be said, and, more importantly, they needed to be taken to heart. Matsuoka is often recognized for his work during the fight for redress and reparations in the late 1960s through the early 1990s, especially with Nikkei for Civil Rights and Redress (NCRR, originally known as the National Coalition for Redress/Reparations). “Speaking up for redress and reparations, speaking up about the injustices of the forced removal publicly and without regard for the personal or professional backlash that inevitably took place in the late 1960s and 1970s was not for the faint of heart,” said Embrey. “But that didn’t matter to Jim. “Jim has been one of the most honest, bold and direct voices in our community,” added Embrey. “Whether it was redress, workers’ rights or fair housing, Jim was on the front lines. He took a stand. Jim is perhaps best known for his leadership role in NCRR, but his leadership in developing the first Asian American Studies programs in Los Angeles, to community organizations, helping ease the damage camp had done to the community — his contributions are immeasurable. Embrey also indicated that Matsuoka is more than deserving of receiving the Sue Kunitomi Embrey Legacy Award. “The idea and spirit behind the award is to recognize people who fought for justice regardless of the risks,” Embrey said. “We recognize people, some who have never been, who did the right thing before it was popular, and if you know Jim Matsuoka, you know he never hesitated to do the right thing. Not surprisingly, Jim’s moral compass always led him to be one of the first to take on any injustice. In addition to the afternoon Manzanar Pilgrimage event, the Manzanar at Dusk program follows that same evening, from 5-8 p.m., at the Lone Pine High School gymnasium, located at 538 S. Main St. (U.S. Highway 395), in Lone Pine, located nine miles south of the Manzanar National Historic Site, across the street from McDonald’s. Through a panel discussion, small group discussions and an open mic session, participants will have the opportunity to learn about the experiences of those incarcerated in the camps. Participants will also be able to interact with former incarcerees in attendance to hear their personal stories, share their own experiences and discuss the relevance of the concentration camp experience to present-day events and issues. Pilgrimage participants are advised to bring their own lunch, drinks and snacks, as there are no facilities to purchase food at the Manzanar National Historic Site (restaurants and fast-food outlets are located in Lone Pine and Independence, which are nearby). Water will also be provided at the site, but participants are asked to bring a refillable water bottle that may be filled at stations located onsite. The Manzanar Committee has also announced that though its bus from Little Tokyo is full (a waiting list is available), a bus to the pilgrimage is also available from Gardena, Calif. The bus will depart from the Gardena Valley Japanese Cultural Institute (1964 W. 162nd St.) at 7 a.m., arriving at the Manzanar National Historic Site at approximately 11:30 a.m. The bus will also take participants to the Visitor Center at Manzanar following the afternoon program. The bus should arrive back at GVJCI at approximately 8:30 p.m.
Reservations will be accepted on a first-come, first-served basis. The nonrefundable fare is $45 per seat, $30 for youth (17 years of age and younger). Complimentary fares are available for those who were incarcerated at any of the former American concentration camps or other confinement sites during WWII. Information for this bus can be found at https://gvjci.wufoo.com/forms/manzanar-pilgrimage-2019. Reservations can also be made at that website. In addition, Pilgrimage Weekend begins April 26 with a public reception hosted by the Friends of Eastern California Museum in Independence from 4-6 p.m. The museum features exhibits including Shiro and Mary Nomura’s Manzanar Collection, the Anna and O.K. Kelly Gallery of Native American Life and exhibits on other facets of local and regional history. On April 27, the Manzanar National Historic Site Visitor Center will extend its hours to 9 a.m.-5:30 p.m. It features extensive exhibits and the award-winning film “Remembering Manzanar.” A special exhibit “Manzanar Pilgrimage: Photographs From the Manzanar National Historic Site 1983-2018” by Geri Ferguson and Mark Kirchner is also on display through July 28. This history tells the little-known story of how, in one of our country’s darkest hours, Japanese Americans fought to defend their faith and preserve religious freedom. The program will take place in the Visitor Center’s West Theater. The Eastern Sierra Interpretive Assn. will be hosting a book signing following the program. For more information on Manzanar, call (760) 878-2194, ext. 3310 or visit www.nps.gov/manz. To get on the waiting list for the bus departing from Little Tokyo, call (323) 662-5102 or send an E-mail to 50thpilgrimage@manzanarcommittee.org.